Unfortunately for Americans who are excited about Social Security expansion, there’s less in it for many of them that it seems. Read the whole article here. WASHINGTON, D.C. – House Ways and Means Social Security Subcommittee Chairman Sam Johnson (R-TX) announced today that the Subcommittee will hold a hearing entitled “Understanding Social Security’s Solvency Challenge” on Wednesday, September 21, at 10:00 AM in room B-318 of the Rayburn House Office Building. This hearing will focus on the differences between the estimates of Social Security’s finances produced by the Congressional Budget Office and those produced by the Social Security Trustees, as well as what these differences mean for efforts to address Social Security’s solvency. 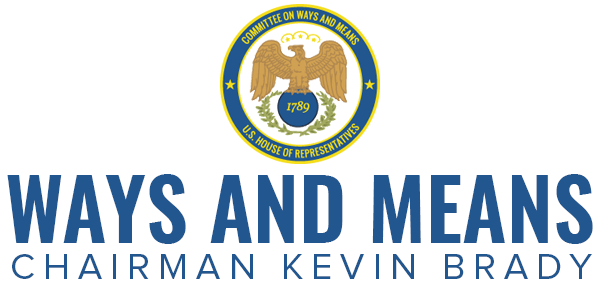 At the hearing, Members will hear from Dr. Keith Hall, the Director of the Congressional Budget Office, and Steve Goss, the Social Security Administration’s Chief Actuary. The witnesses will discuss how their organizations arrive at their projections of Social Security’s solvency and what accounts for the differences between their projections. Both the Social Security Board of Trustees (Trustees) and the Congressional Budget Office (CBO) evaluate the condition of Social Security’s long-term finances annually. They base their projections on a variety of demographic and economic assumptions, including life expectancy, productivity, and interest rates. In recent years, the Trustees’ and CBO’s estimates of Social Security’s financial status have begun to diverge. In 2016, the Trustees estimated a 75-year shortfall of 2.66 percent of taxable payroll, while CBO’s estimate was 4.7 percent. Similarly, the Trustees estimate that the combined Trust Funds will be exhausted in 2034, while CBO estimates that this will occur in 2029. New paper: “What’s Happening with Retirement Saving and Retirement Incomes? Better Data Tell a Better Story,” by Andrew G. Biggs, American Enterprise Institute. Americans are doing a much better job of saving for retirement than is commonly supposed. Despite claims of declining retirement-plan coverage, more Americans have retirement plans today than in the so-called golden age of traditional defined benefit pensions, and new 401(k) rules make today’s workers much more likely to receive benefits once they retire. Contributions to retirement plans are at record levels compared to the past. Contrary to claims that employers have abandoned retirement saving, employer contributions to retirement plans are also at a historical peak. The policy debate over retirement security ignores much of the best data and research available. While better information does not erase the challenges we face in improving our diverse retirement-saving system, it can help inform the debate. Today’s workers must save on their own for a secure retirement, so researchers have examined existing options for encouraging them. Tax incentives: recent research suggests that increasing the generosity of tax incentives for 401(k)s and IRAs would not significantly increase saving. 401(k) design: auto-enrollment has boosted participation, but, to date, low default contribution rates and little auto-escalation have dampened the rise in saving. Auto-IRAs: recently adopted by some states, they would require employers without a plan to enroll their workers in an IRA, with the ability to opt out. Friday, September 23, 2016, 10:00 a.m. — 12:00 p.m.
One of every six workers has a non-traditional employer-employee relationship. These workers range from independent contractors and consultants to freelancers, temps, and those in the gig economy. Few, if any, have any form of workplace retirement benefit. Meanwhile, upwards of 30 states are considering a state-sponsored retirement savings plan for small business employees, and six are already implementing such a plan. Congress has been taking notice as well. Some policymakers are reluctant to expose individuals to market risk and want to provide guarantees that would protect their retirement savings in the event of a market crash. On September 23, the Retirement Security Project will host an event to discuss these and related policy issues and will release two new papers on the topic. The first paper proposes a number of ways to improve retirement saving options for contingent workers, such as exploiting innovations in technology and developing retirement accounts that follow the worker from job to job. The second paper explores differing types of rate-of-return guarantees, and who bears the costs of financing those assurances. After each paper presentation, discussants will comment, and all panelists will take questions from the audience. Registration will open at 9:30am with light refreshments. Eight states – California, Connecticut, Illinois, Maryland, Massachusetts, New Jersey, Oregon, and Washington – have passed legislation to establish retirement savings arrangements for private sectors workers who currently lack access to plans through their employers. On August 25, 2016, the White House and the U.S. Department of Labor (DOL) announced a final rule to allow states to create their own programs and issued a new proposed rule that would allow some larger cities to also establish such programs. Please join us for a discussion of the opportunities, challenges and outlook for the future for publicly sponsored private retirement savings programs. Please register here or use the red button below. New paper: "Reducing Retirement Savings Leakage"
This paper summarizes discussion on new ways to reduce retirement plan “leakage,” presented at the Employee Benefit Research Institute’s 78th policy forum in Washington, DC, on May 12, 2016. A recurring issue with defined contribution (DC) savings plans such as the 401(k) is the risk of “leakage” -- pre-retirement reductions in plan savings by workers, either through loans, hardship withdrawals, or payouts at job change. There have been widely varying estimates of how big of a problem leakage actually is, and what the potential reactions may be by both retirement plan sponsors and participants if new pre-retirement access restrictions were imposed. For instance, for many workers the option of being able to take a loan from their 401(k) account is seen as a major incentive for them to participate. A 2014 analysis by EBRI found that approximately two-thirds of the impact of diminished retirement savings due to leakage was associated with the cashouts that sometimes occur at job change. Others have pointed out that 401(k) loans, which sometimes are criticized as a significant source of retirement savings leakage, actually account for the smallest amount of pre-retirement savings loss. To highlight new work on leakage, the Employee Benefit Research Institute (EBRI) devoted part of its 78th policy forum to the topic of “Retirement Challenges and Reforms,” focusing in particular on “Reducing Leakage and Incubating Savings.” The May 12 event in Washington, DC, brought together about a hundred benefits-related experts to discuss a variety of retirement and health topics. The leakage-focused session involved the presentation of a simulation model by the Retirement Clearinghouse (RCH) concerning outcomes of “Auto Portability,” or automated and presumptive plan-to-IRA and plan-to-plan transfers of retirement savings as workers change jobs. Based on research and actual experience with employers, RCH has developed a fairly simple engagement model with both incoming and departing employees -- aimed in particular at those with small 401(k) balances ($5,000 or less, which collectively amount to about $8.8 billion a year) -- that would apply both a pro-rollover/transfer presumption and a near-automatic process that, together, is projected to reduce retirement plan leakage by 50 percent. It was noted that “Auto Portability” has an opt-out mechanism so that individuals can opt out if they need the money.